The NEW Satin Body® Revitalizing Shea Scrub instantly polishes skin to perfection and leaves it feeling invigorated and refreshed. Formulated with enriching shea butter and conditioning sunflower oil. Exfoliates and immediately buffs away dry skin. Senses will be delighted by the scent of white tea and citrus. Perfectly polished. Awaken your senses as your skin comes back to life! Delight in how Satin Body® Revitalizing Shea Scrub instantly polishes skin to perfection and leaves it feeling invigorated and refreshed. Gentle enough to use daily, the scrub exfoliates and immediately buffs away dry skin while leaving it feeling moisturized. You’ll love how your skin feels revitalized, satiny-smooth and touchably soft. Use during bath or shower time. Apply and scrub gently. Then wash off to reveal smooth and supple skin. 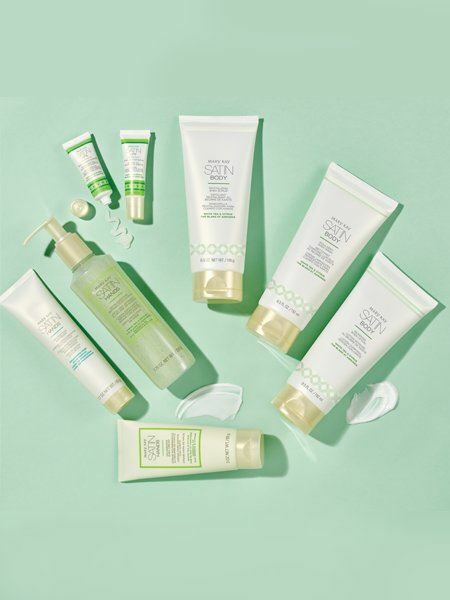 Also, indulge in our other shea-powered products from the skin-nurturing Satin Body® Collection.